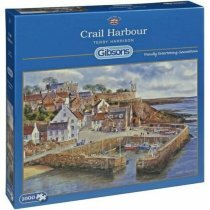 In the style of the famous Broons Jig-Saw puzzles issued in 1943 and 1944, this new 400 piece puzzle shows Granpaw relaxing in his shed. 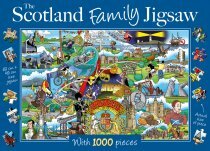 Great fun for all the family! 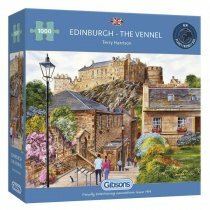 This 1000pc jigsaw captures the beauty of the Vennel in Edinburgh's Grassmarket, with Edinburgh Castle in the background. 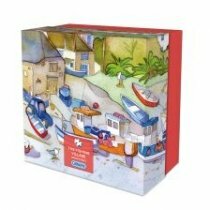 This quaint fishing village scene is brought to life with artist Emma Bell's vibrant style. Bound to bring back memories of trips to the seaside during summertime. 750 irregular shaped pieces make up this jigsaw of Ben Nevis and Glen Coe. 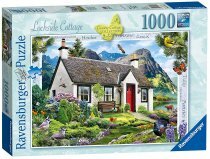 Skye Cuillin Jigsaw 560mm x 420mm.